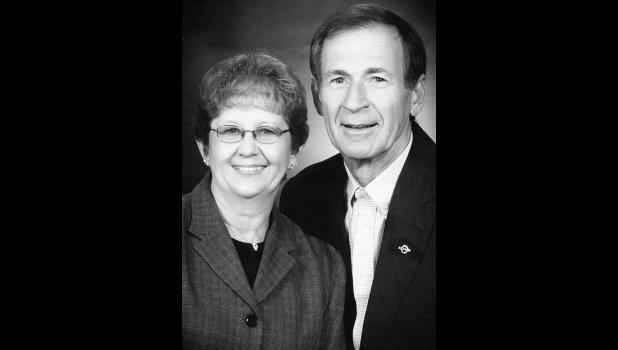 Rodney and Bonnie (Oxandale) Stauffer of Holton will celebrate their 50th wedding anniversary. They were married on March 25, 1967 in Whiting. Rodney is retired from Goodyear Tire and Rubber Co. after 41½ years. Bonnie babysat their grandchildren. They have three children, Mike Stauffer of Fairview, Ronda Bohannon (Donnie) and Lori Barnes (Jason), both of Holton. They have four grandchildren, Lindsey Bohannon (companion Trevor), Cody Bohannon, Jacee and Jake Barnes and one great-grandson. They still work on their farm. They enjoy following their grandchildren’s activities and enjoying their little great-grandson, Tyler. A private family celebration has been planned.